MoreWelcome to Sevila, Saunders, Huddleston, & White, P.C. We handle all aspects of civil and criminal law and are located in historic Leesburg, Virginia. SSHW focuses on obtaining favorable results for our clients. We consider the implications of your legal needs - financial, business, and personal to ensure your interests are best served. SSHW provides prompt, professional advice and counsel to a diverse group of long term clients. We are a community based practice working to foster community...Welcome to Sevila, Saunders, Huddleston, & White, P.C. We handle all aspects of civil and criminal law and are located in historic Leesburg, Virginia. SSHW focuses on obtaining favorable results for our clients. We consider the implications of your legal needs - financial, business, and personal to ensure your interests are best served. 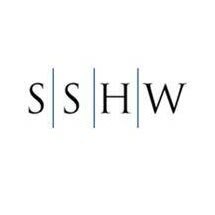 SSHW provides prompt, professional advice and counsel to a diverse group of long term clients. We are a community based practice working to foster community and business relationships while serving the needs of our clients.